During the flood season, a number of public agencies combine their efforts to provide high water warnings and minimize flood damage in California. The Department of Water Resources (DWR) is responsible for coordinating local, State and federal flood operations. 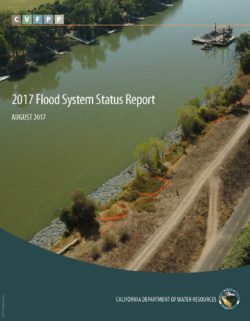 The State-Federal Flood Operations Center, located on El Camino Avenue in Sacramento, is the focal point of this effort. 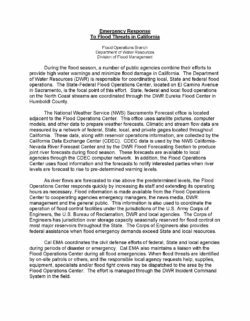 State, federal and local flood operations on the North Coast streams are coordinated through the DWR Eureka Flood Center in Humboldt County. 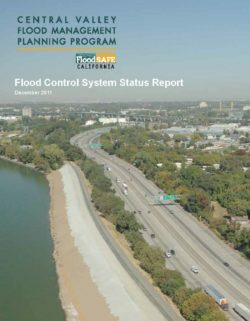 This Flood Control System Status Report (FCSSR) describes the current status (physical condition) of SPFC facilities at a systemwide level. 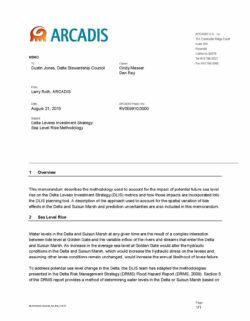 DWR prepared the FCSSR to meet the legislative requirements of California Water Code Section 9120, and to contribute to development of the Central Valley Flood Protection Plan (CVFPP). The CVFPP will guide future State investments through projects to address identified problems in the SPFC. The FCSSR is primarily intended to present information on the physical condition of SPFC facilities, and to help guide future inspection, evaluation, reconstruction, and improvement of the facilities. Information contained in the FCSSR should not be used to predict how a levee orassociated facilities may perform in a specific flood event. More detailed information (such as additional geotechnical explorations and analyses at a greater frequency) would be necessary to meet other purposes, such as assessing whether a levee could be certified under Federal Emergency Management Agency (FEMA) standards to provide base flood protection under the National Flood Insurance Program. Recent flood disasters have raised congressional and public interest in not only reducing flood risks, but also improving flood resilience, which is the ability to adapt to, withstand, and rapidly recover from floods. In the United States, flood-related responsibilities are shared. States and local governments have significant discretion in land-use and development decisions, which can be major factors in determining the vulnerability to and consequence of hurricanes, storms, extreme rainfall, and other flood events. 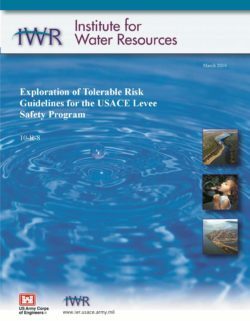 Congress has established various federal programs that may be available to assist U.S. state, local, and territorial entities and tribes in reducing flood risks. 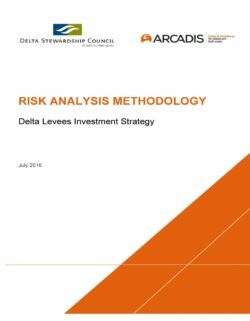 mitigation incentives for communities that participate in the National Flood Insurance Program (NFIP). 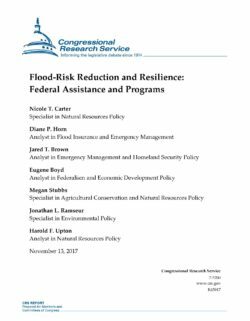 This report provides an overview of these assistance programs and the NFIP-related mitigation incentives; it also raises flood-related policy considerations associated with federal programs and practices. 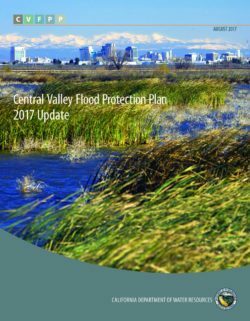 Due to several large and damaging flood events on the Sacramento and San Joaquin Rivers (California) during the 1980s and 1990s, the U.S. House of Representatives directed the Sacramento District to develop comprehensive plans for flood control for the two rivers and to develop hydrologic and hydraulic models of the river systems. The models will be used to provide better forecasts and evaluations of flood damage reduction alternatives. Additionally, the model results will be used as input for reservoir simulation models. 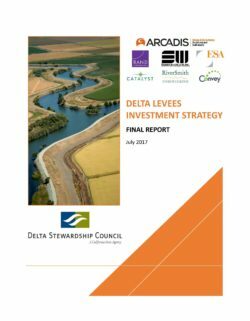 The Sacramento River Basin and the San Joaquin River/Tulare Lake Bed Basins comprise nearly 60,000 square miles, drain California’s Central Valley floor and receive much of their runoff from the Sierra Nevada mountain range. Developing hydrologic models for the tributary basins (which included extremely variable terrain) within a ten month time period was a formidable task. The District contacted the Hydrologic Engineering Center (HEC) to assist with the development of these models. HEC used the Hydrologic Modeling System program, HEC-HMS, and introduced the HEC-GeoHMS grid-based technology to perform the hydrologic study. GeoHMS is an ArcView® extension that provides automated subbasin delineation methods and calculates many physical characteristics used for estimation of hydrologic parameters. 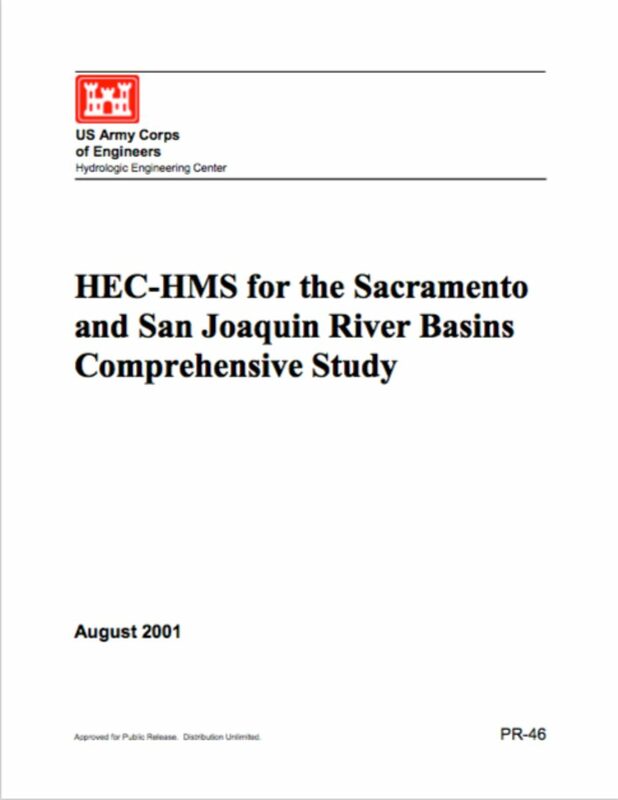 HEC developed and calibrated 33 individual HEC-HMS models for the major tributaries and portions of the valley floors of the Sacramento River Basin and the San Joaquin River / Tulare Lake Bed Basins. GeoHMS was used to delineate the individual river basins, perform initial subbasin delineation and develop the physical characteristics for the subbasins. Tools within GeoHMS allowed the modelers to iteratively redelineate their subbasins, as appropriate, to meet project needs. Keeping the modeling effort consistent was critical to the success of the study. To ensure this consistency of procedures and results, HEC developed modeling guidelines that each of the 11 modeling teams followed. Once the grid-based HEC-HMS models were developed, HEC contracted with the Corps’ Cold Regions Research and Engineering Laboratory (CRREL) to perform a snowmelt study for the watersheds. HEC provided a gridded precipitation file (4 km2) to CRREL. Through the use of their Distributed Snow Process Model (DSPM), CRREL then provided a gridded snowmelt/ precipitation file to HEC. DSPM computes snowmelt and rainfall depths at the soil surface on a grid-cell basis. This data is used directly by HEC-HMS as precipitation on the watershed. The ModClark rainfall to runoff transformation was used to compute the subbasin hydrographs. HEC-HMS parameter optimization models were developed at hourly flow gages for the unregulated headwater streams. The runoff parameter optimization models allowed the modelers to develop the runoff parameters necessary for the regression analysis. A number of physical characteristics were evaluated for correlation with variations in Clark’s time of concentration, TC, for the optimization models. The results of the regression analysis allowed the modelers to populate the ungaged subbasins with appropriate unit hydrograph parameters. Approximately 200 hourly flow gages and 83 reservoirs were considered in calibrating the models. The 33 individual basin models were then given to the Sacramento District.